-Mission Statement of the McKendree University Division of Computing. 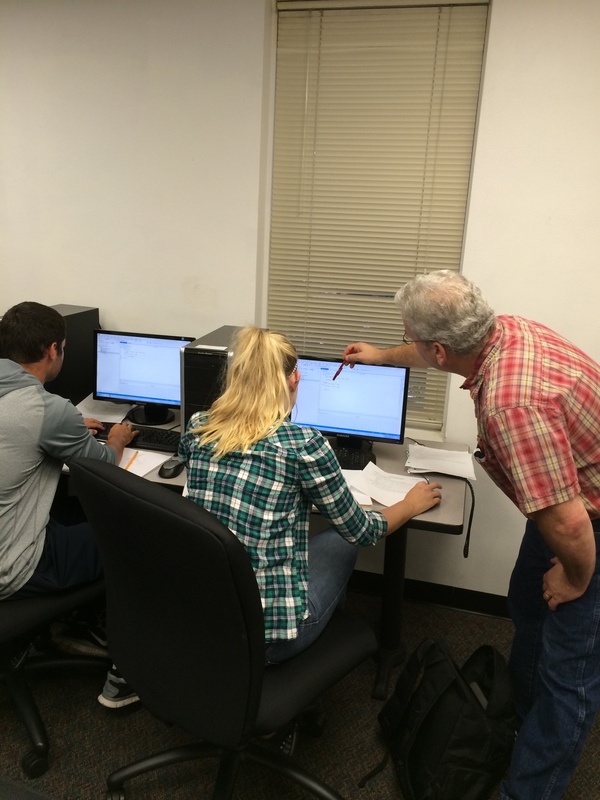 Kian Pokorny, Ph.D. helping a student with her work. At McKendree University, the main career paths for the Division of Computing consist of five primary core tracks: Computer Science (CSI), Computer Information Systems (CIS), Computational Science (CS), Information Technology (IT) and Interactive Media (IM). All of these majors, includes their own specific core focuses which ranges from Computer Programing as a CS major to even video game design with Interactive Media. Department wide, no matter the major, no matter the job, McKendree students are problem solvers. This key aspect of problem solving has been instilled in our minds through rigorous practice given by this department’s great professors. As head of the department, Kian Pokorny, Ph.D. is one of the first professors a new student encounters and one of the last seen as an upperclassmen. James Feher, Ph.D. another professor for many of the computing students, is in charge of challenging the students through the middle of the major path. Sameer Dutta, Ph.D., Theodore Massey and Elizabeth Thiry, Ph.D., are new additions to the department and have already begun integrating into the ever-growing computer science family. Association of Computing Machinery (ACM) is the top professional organization in computing, which focuses on improving technology and computing, as well as a great source for networking. Students can join McKendree’s local ACM chapter as freshmen. Upsilon Pi Epsilon (UPE) is an international honor society for computing and information systems in which students are selected for membership based on high academic achievement. As listed above, McKendree offers some of the top majors in Computing. This department is fortunate to have small class sizes that are suited for individualized instruction and have a designated lab solely for McKendree Division of Computing majors. Another McKendree advantage is a strong technical foundation as well as great internship opportunities that stem from connections to companies who have already employed former graduates. A few of these internships are with Anheuser Busch, AT&T, Centene Corporation, Monsanto, National Security Association and many more. Great connections are not only provided by hard work from the University but also from connections made through employer satisfaction with former graduates, thus creating ongoing openings and endless possibilities for future students. 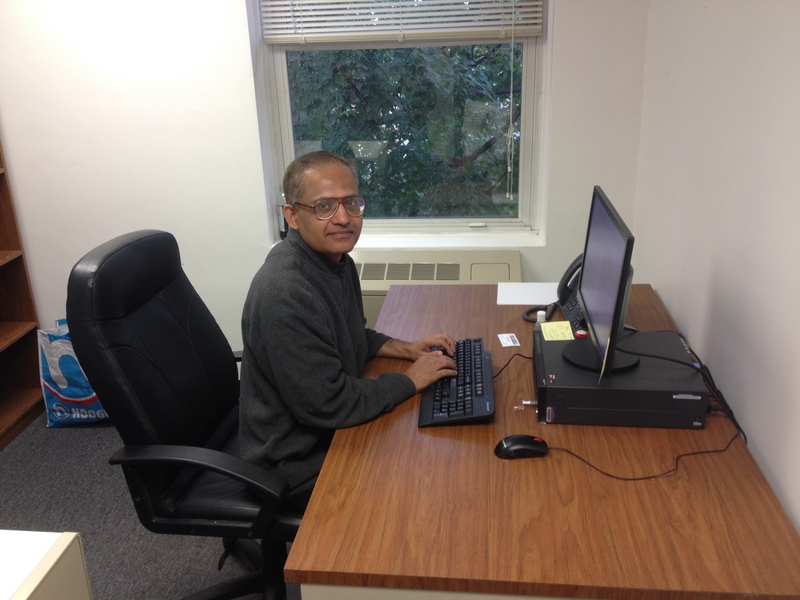 Dr. Dutta in his new office. The employer connections with former graduates are: Anheuser Busch, AT&T, Boeing, Centene Corporation, Defense Information Systems Agency, DuPont Pioneer, Intel, Scottrade, World Wide Technology and Unisys. The pay for these jobs is a pretty substantial amount for our graduates who enjoy starting salaries in the $50,000 range. At McKendree, the computing department is a very interesting bunch of students and faculty. The fascinating part of how the group has come to work together and get to know each other all stems from problem solving. Problem solving is the main focus in computer science. Computer science majors are faced with tasks that involve countless amounts of different problems. For example, an IT specialist may encounter networking or internet issues or even other basic computer problems. Another example would be taking old solutions and making them better by developing an easier and more efficient solution in its place. 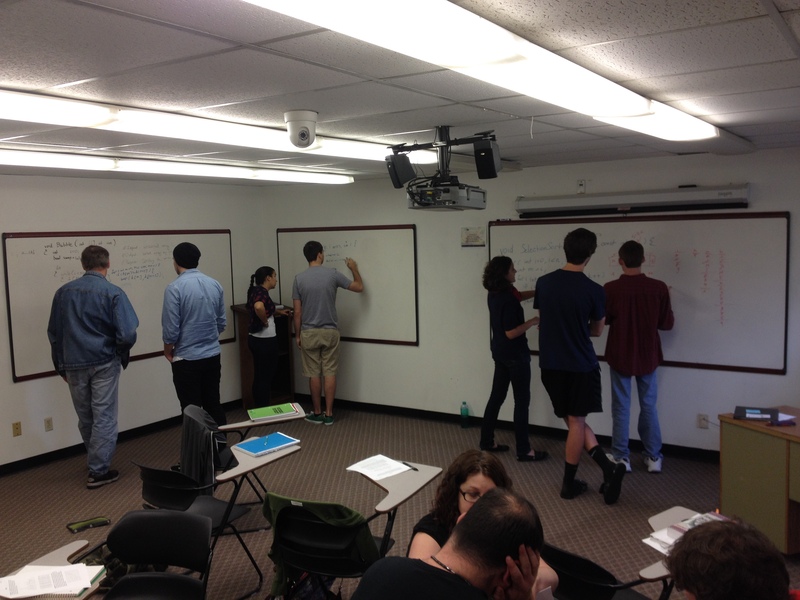 Students of the Computing division work as teams to solve problems. Needless to say, the goal of a McKendree computer science major is finding the solution to these problems. These problem solving skills are important beyond the profession; they are in fact a great bonding factor which brings the department closer because of the amount of teamwork put forth in finding solutions for every problem faced. Everything in the classroom as well as outside the campus, in which the Division of Computing prepares for each student, heavily relies on teamwork. This one factor alone brings everyone together daily in class and will eventually do the same in the students’ workplaces. Teamwork not only forces students to work together and get along but also helps them understand each other better on many different levels. – Lucky Barr, a junior in the CSI department. Simply stated, this department is one, big family, reflecting friendship and teamwork, as in the quote above. The 100 Best Jobs. U.S. News Money. 2014. Web. 9 Sept. 2014. The 15 Best Jobs Of 2014. Business Insider. 2014. Web. 9 Sept. 2014.